Mike Robbins is the author of four books, including his brand new title, Bring Your Whole Self to Work. 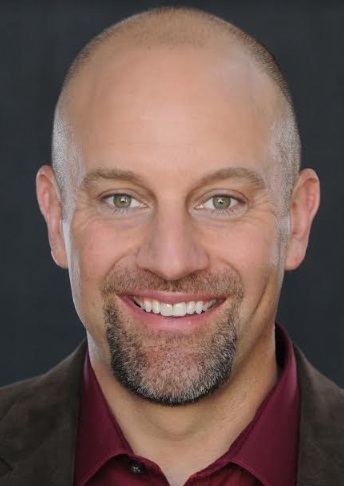 He’s a thought leader and sought-after speaker whose clients include Google, Wells Fargo, Microsoft, eBay, Genentech, the Houston Astros, and many others. He and his work have been featured in Forbes and the Wall Street Journal, as well as on ABC News. He was a regular contributor to the Huffington Post for almost a decade and his books have been translated into 14 different languages. I got into the speaking/training/coaching/writing business after the end of my professional baseball career. I got injured in the minor leagues with the Kansas City Royals when I was 23. After three surgeries on my pitching arm, I was forced to retire from baseball. I then worked in sales and business development for two internet start-ups in the late 90s during the dot-com boom. When the bubble burst and I lost my job, I wanted to share my story and some of what I learned as an athlete and in business about the importance of appreciation, perspective, and teamwork. Well, since I partner with companies like Google, Wells Fargo, Microsoft, Schwab, eBay, the NBA, the Houston Astros, and others – I see lots of trends in different industries and they vary a bit. However, across the board in these industries, as well as in my own, I think the importance of authenticity continues to increase. With all of the amazing technology, personal connection can sometimes get lost and companies that have ability to create authentic environments that at psychologically safe for their employees and that make authentic connections with their customers have a huge advantage. I think one of the biggest challenges in my industry is also one of the greatest opportunities. There is so much information available these days – books, audios, videos, and more. If anyone goes to Google or YouTube they can find just about anything they are looking for…and then to Amazon to buy a book, audio, or training program. However, the opportunity in this is the personal story and connection. No amount of data or information can make up for that. We will always have stories to tell and ways to share and connect with each other vulnerably this way. 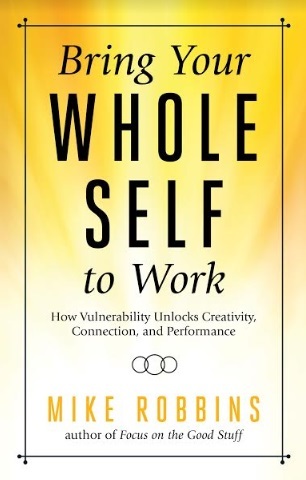 I have a brand-new book coming out, BRING YOUR WHOLE SELF TO WORK, which I’m very excited about. This is my 4th book and it feels like a big and important one for me to put out into the world. Continuing my speaking and consulting work also feels important, and looking at ways I can reach even more people and have an even bigger impact with my work are what I feel like are next for me. In addition to my books, podcasts, blog posts, videos, and other things – the main focus of my business over the years has been sharing stories, inspiring people, and making connections. That is what I love to do and that is what I continue to do. Back in 2009 my second book came out that spring, BE YOURSELF, EVERYONE ELSE IS ALREADY TAKEN. The economy was in a very difficult place at the time and my business hit a rough spot. I put a lot of time, energy, and money into the launch of that book, and by the end of that year finally looked up and realized we were over $100,000 in debt and more than $300,000 upside down on our house – which we had bought towards the top of the market and had gone way down in value when the housing market imploded. I had to dig deep, decide if it made sense to keep the business going or to try to find a job. I kept the business going, we got some great financial coaching, and over the next two years were able to pull ourselves out of debt and sell our house. It was humbling, but taught me a great deal…how to get real, forgive myself, ask for help, and focus on what matters most and what makes the most sense in my business. I think what I provide for my clients, which are often groups, teams, and departments within companies, is an opportunity to take a step back, reflect on their lives/work/teams, and both get real about how they feel and appreciate themselves and each other. When I speak to large groups or work with small groups, there is often a lot of laughter and sometimes tears…and the intention is always to both open people’s minds and hearts, and also connect them more deeply with themselves and one another. I try to practice what I preach, as best as I can…modeling authenticity, vulnerability, and appreciation. I share how I’m really feeling and what’s really going on for me, as a way to make it safer for other people to do the same. And, I put a lot of time and attention into expressing my appreciation for the people around me. Be yourself! Look, listen, and pay attention to what others do and say, but at the end of the day, listen to what’s in your heart first and foremost. Don’t be afraid to take risks and be bold, and remember that if your intention is genuine, you really can’t mess things up. I think my determination is one of my best qualities – I keep going, even when I get scared or discouraged. I learn from my mistakes and try to make adjustments along the way. Being grateful and keeping things in perspective always helps me stay focused on what and who really matters most, and when I am coming from a place of gratitude, I am usually the best version of myself. My aspirations are to be a great father to our daughters, a great husband to my wife, and a great friend to those close to me. I also aspire to be someone who makes a difference in the world through my work, has real impact with what I do, and has the time, space, energy, and abundance to give generously in a philanthropic way. Asking Michelle to marry me…her saying yes…and stepping into the fear and unknown or marriage and fatherhood. Although I wanted to get married and have babies, I was terrified. My folks split up when I was three and my dad wasn’t around much. My mom never re-married, so I didn’t have much of a model of what marriage and fatherhood look like. I have just been making it up as I go all of these years…and it seems to be going pretty well. I am proud of that. When I was a junior in college I got severely depressed, even suicidal. It was painful and really scary – I was lost and stuck in a way I couldn’t understand and didn’t know how to get out. Thanks to the support of a number important people in my life, especially my father and my uncle, as well as my girlfriend at the time and an incredible counselor she introduced me to, I made my way through that experience…and it opened up a whole new path for me of growth, discovery, spirituality, and more. Jump…and find your wings on the way down. There are so many people I respect and admire. Richard Carlson was my friend and mentor, he wrote the DON’T SWEAT THE SMALL STUFF series of books. He passed away back in 2006 and I still miss him very much. I admire fellow authors Brene Brown, Glennon Doyle, Elizabeth Gilbert, Rob Bell, and others. In my life personally, I admire Michelle, my wife…she’s an incredible woman with such heart, strength, and love. I love being at home with Michelle and the girls, in my office, in our bedroom, and in our backyard. Out in the world I love being on Maui or Kauai, up in Calistoga (Napa Valley), and in New York City. I also love being at live sporting events (especially baseball and basketball) and at concerts). I love hosting and producing my podcast. I also like having written, not so much the writing process, but have articles, blog posts, and books written and published is fun. Michelle, our girls, speaking, relaxing, and dancing.